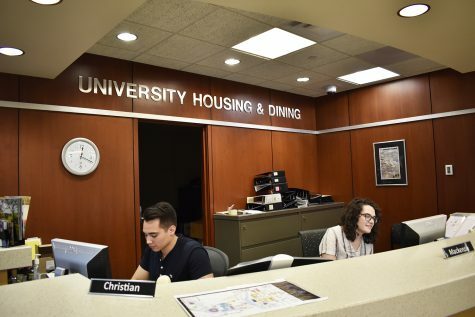 The discussion regarding the AAUP sanction against the UI resurfaces as the search for ISU President Steven Leath’s replacement begins. 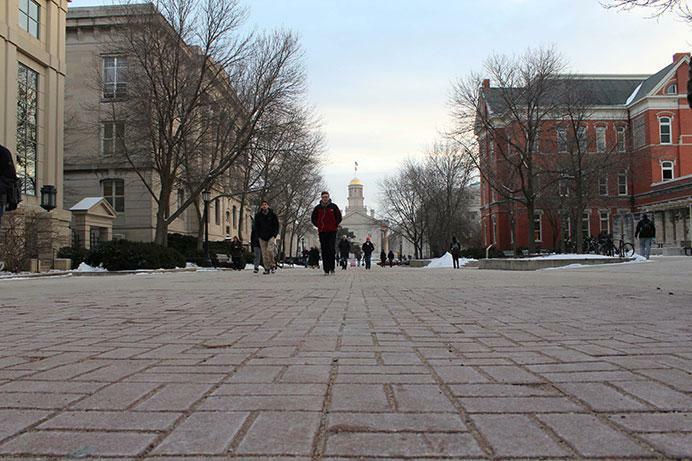 After last week’s announcement that Iowa State University President Steven Leath will take on the top position at Auburn University, some are pondering whether the state Board of Regents will latch onto another opportunity for redemption. 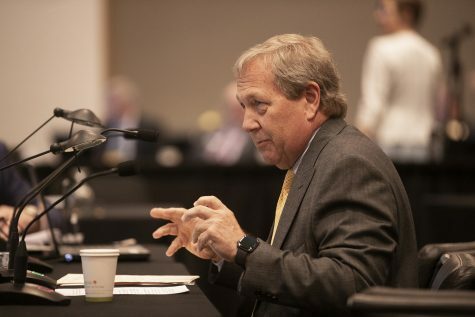 The national American Association of University Professors organization sanctioned the University of Iowa for the search process that resulted in the hiring of current UI President Bruce Harreld in 2015, suggesting the regents did not abide by shared-governance guidelines.Days after Harreld’s hiring, the UI Faculty Senate voted “no confidence” in the regents. The UI chapter of the AAUP conducted a survey prior to the hiring of Harreld, a business executive with no academic administrative experience. 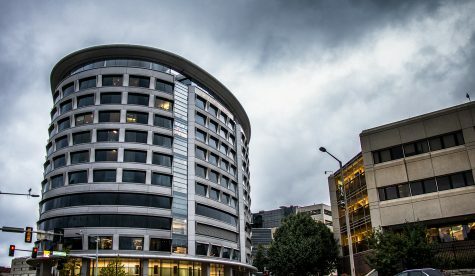 The results revealed fewer than 3 percent of faculty and other respondents felt Harreld was qualified for the job compared with the other candidates, two university provosts and one president. Since Harreld’s hiring, this will be the second presidential search the regents have conducted. Mark Nook was selected in December 2016 as the University of Northern Iowa’s 11th president. 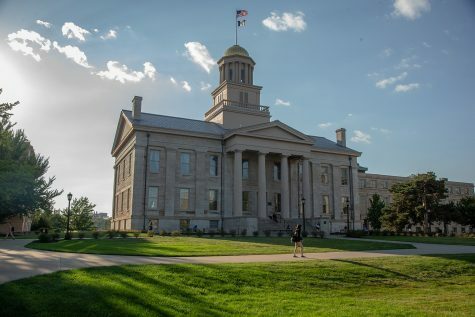 Katherine Tachau, the president of the UI chapter of the AAUP, and Mack Shelley, the president of the ISU chapter of the AAUP, acknowledged that the UNI faculty is pleased with the results of their recent presidential search. 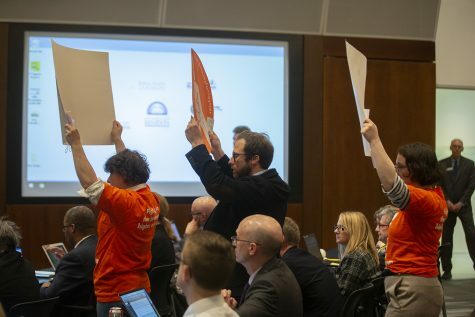 The regents voted Monday in a telephonic meeting to approve Leath’s resignation and appoint former UNI President Ben Allen as a special policy adviser until he steps into his role as interim president of ISU after Leath officially leaves May 8. 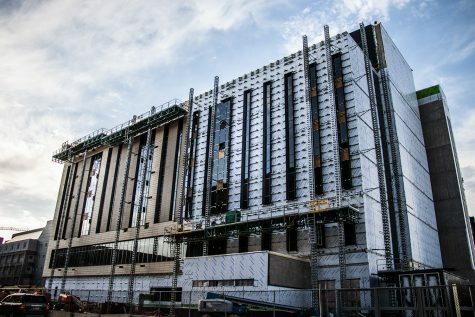 Regent President Bruce Rastetter said board leadership — he and President Pro Tem Katie Mulholland — recommended that Executive Director Bob Donley be instructed to develop a search process similar to the search that resulted in Leath’s hiring five years ago, which involved a broad committee that included various constituency groups on campus and involved public forums for the finalists. Shelley said the public forums add to a sense that the search process is open and allow people to voice their opinions. 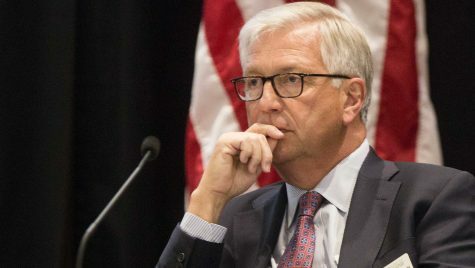 He also said there are practical limitations to how transparent a search can be, referencing the regents’ decision to not release names of candidates in the ISU presidential search until finalists are chosen. 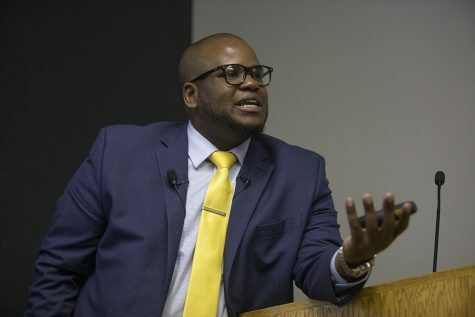 Allen’s appointment as interim president has been a controversial decision for some because of a UNI faculty vote of “no confidence” prior to his departure in 2013 for his leadership during budget cuts, which led to the closing of UNI’s Malcolm Price Lab School. Tachau said other constituencies should have a vote that matters and the search committees should be primarily in their hands so an acceptable president is selected. 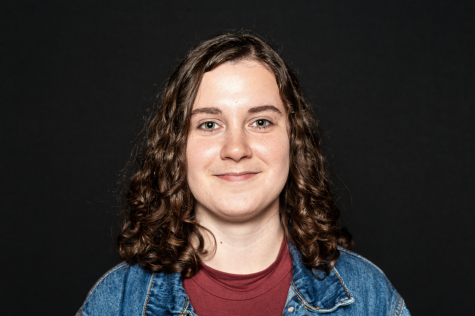 It would be wise, she said, for the regents to meet with the leadership of the ISU AAUP chapter and Faculty Senate to form the search committee for Leath’s replacement, but she said it seems the regents have no interest in lifting the sanction on the UI. To address the removal of the sanction, the UI Faculty Senate formed an ad-hoc AAUP sanction removal committee during the fall 2016 semester. Tachau said the regents should work with Faculty Senate and UI AAUP chapter leadership to address the sanctions. 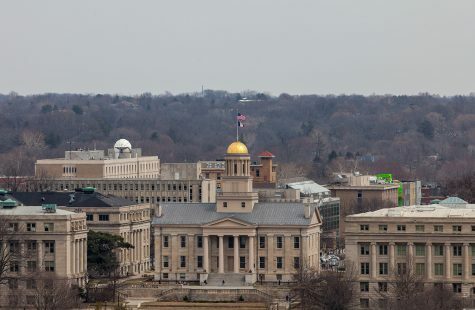 “They need to work with the parties on the University of Iowa campus who are trying to find long-term solutions that will make it possible for the sanctions to be lifted,” she said.